What Attracts a Man & What Keeps a Man? If you’re struggling to meet the right man, and you want to know the REAL secrets to meeting men…then check out Suzanne’s eBook below. 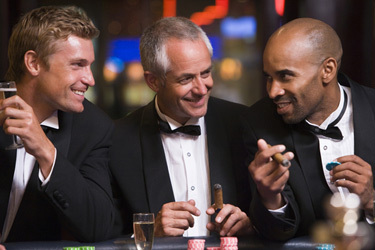 The REAL Secrets to Meeting Men? Believe it or not, it’s really not that hard to meet and date the kind of men you want. If you knew these secrets, you wouldn’t think it was so hard to meet men. I’ll show you exactly what you need to do, to get more men to approach you and ask you out. You will find out the steps you need to take to help you be more successful with dating and men. You don’t have to be the most gorgeous woman in the world to be successful with meeting men! You wonder why women who aren’t as attractive as you, get approached all the time. You’re tired of all your friends getting married and you’re not dating anyone special! You’re really ready to change your dating life and meet the right man now! The Secrets to Meeting Men! No worries. My offer comes with a 30-Day Money-Back Guarantee! Re: The Secrets to Meeting Men! I just want to know how happy I am that you came across my site, as I really want you to know it’s my true passion to help women meet the right man. Over the years, I’ve interviewed countless single women about dating and they have always opened to me about their challenges and frustrations with being single and dating. Women Wanted to Know: How & Where to Meet Men! The most prominent issue for women that seemed to come up over and over again, was their complete frustration with where to meet men. It was then, that I started to notice a trend with the answers I was getting from the majority of women. 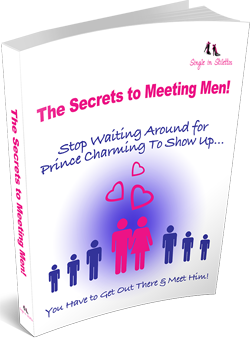 About 99% of the single women would always answer by saying one or two things…clearly, they just didn’t know the secrets on the best places to meet men & how to meet them! Believe Me, I Know How Hard it is to Meet Men! I remember when I was in my early 30’s, I found it really hard to meet men too. I was the exact same way…I thought by doing one or two things, that I would meet the right man at some point, but it was really hit or miss. Actually it was more miss than anything else! Friends and family members would always say to me, “You’re so pretty, how come you don’t have a boyfriend?”. Back then, had I known all the secrets that I know today, my love life would have been much, much different. Now that I work with both men and women in matchmaking & date coaching, I discovered the secrets on how women can EASILY meet men. It’s taken me over 13 years to discover all the secrets. I’ve shared the secrets with the women I’ve privately date coached. These secrets have really helped them completely transform their love lives and meet the right man! Clients, colleagues and friends kept pushing me to write an eBook about the best places to meet men and I kept pushing back. But I finally realized it really is the #1 question I always get from single women. And that was my inspiration for writing this eBook. I, not only want to give you the best places to meet men, but also the secrets on how to meet them! I’m ready to prove everything I claim. Access the eBook right now, and read it for yourself within the next 30 DAYS. If the eBook does not live up to any the claims stated here. I don’t want your money, and I’ll give back every penny back to you. No hassles and we can part as friends. 100% Money-Back Guaranteed. Get The eBook Now For Only $7! I’m really looking forward to helping you meet the right man soon!